With the new OAuth requirement on the Twitter API, posting your recipe tip from the KookJij app to your twitter is currently broken. I’m working on a fix, so there should be an update available soon. 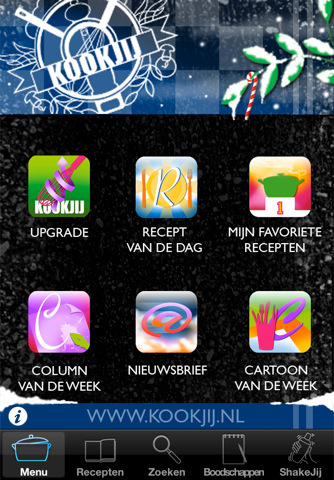 Today the Passie voor Horeca app is free today due to the monthly AppEvent free app of the day. 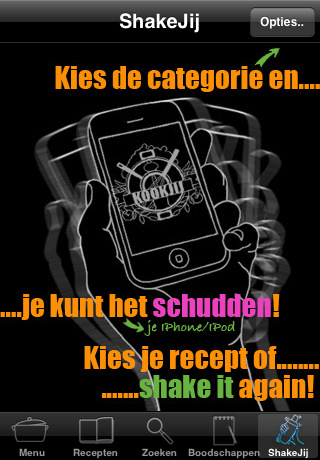 This weekend KookJij v 1.3 got accepted in the App store. A twitter post option: At the top of every recipe there’s a new button allowing to post the name+url to the recipe directly to twitter. Better and smoother loading of the images in the UITableViewCell, should be a bit faster and have a nicer look since images now have a fade-in effect.